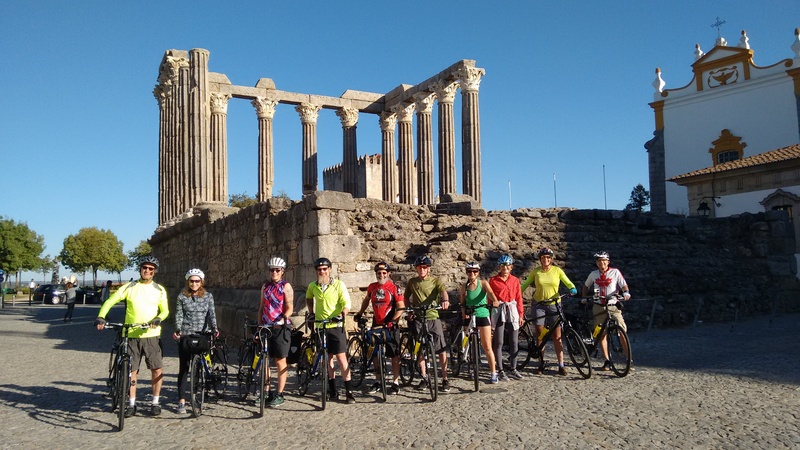 Overview: This route takes you from the Atlantic coast, south of Aveiro, inland through the Beira region – via some beautiful countryside and picturesque villages – before heading over the border into the Castille & Leon region of Spain. 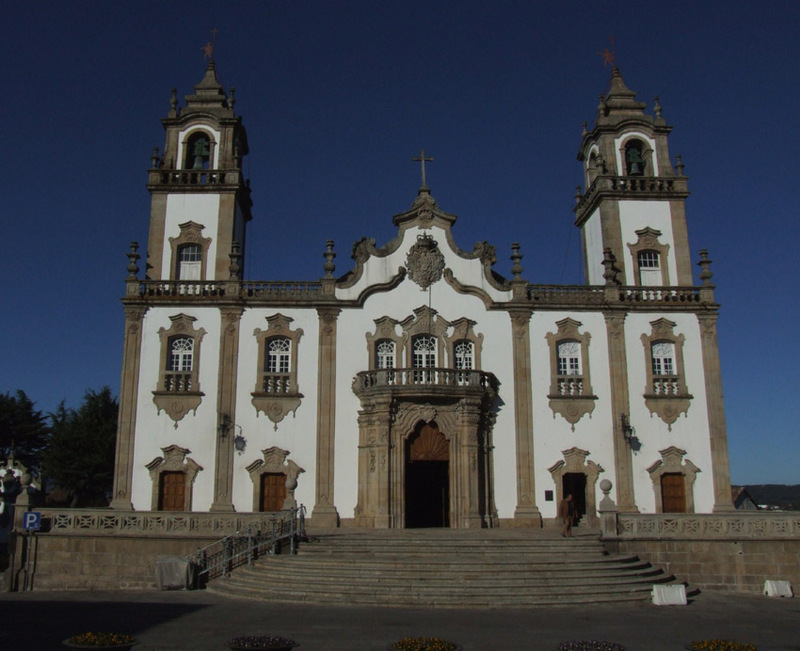 Church in the centre of Viseu, one of the main towns along the route. 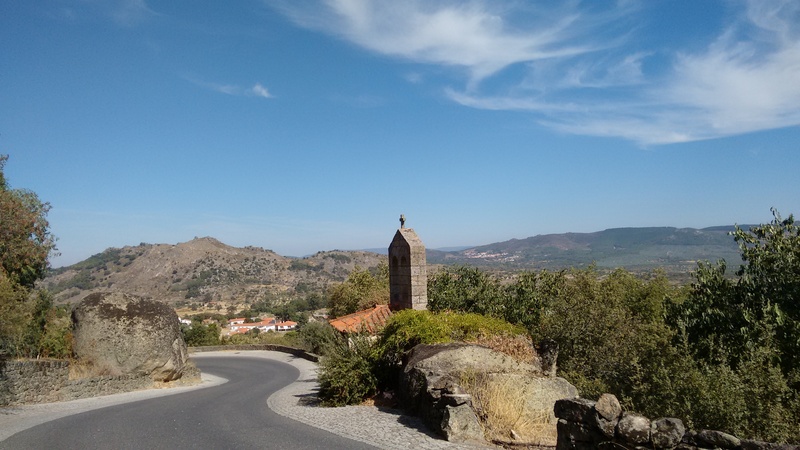 This route also gives you an opportunity to ride the Ecopista do Dao, Portugal’s longest cycle path – a lovely 49km stretch of converted railway that runs between Santa Comba Dao and Viseu. I’ve also detailed a couple of alternative options – including one that gives you the opportunity to visit some of the many small, ruined castle that dot the border between Portugal and Spain. Unlike most long-distance routes on this site, I’ve continued into Spain as this would make a logical route for anyone heading that way (or coming from that direction if you want to do it in reverse). Leaving the coast, the route starts relatively easily but soon gets more serious as you leave the gentle countryside of the Beira Baixa (the low Beiras) and head into the rugged terrain of the Beira Alta (high Beiras). 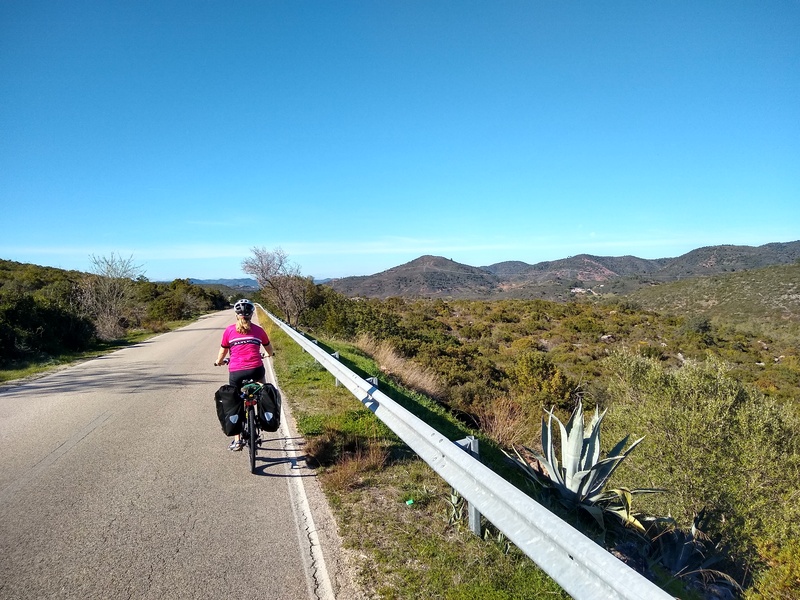 Heading east out of Portugal, though, you’re suddenly on the plain and the last day would be a relatively flat and easy ride to the ancient city of Salamanca. Historical note: For anyone with an interest in European history, this route takes in several significant sites relating to Napoleon’s attempt to conquer Portugal – the strategic fortresses at Ciudad Rodrigo and Almeida, and the site near Luso of the Battle of Bussaco, where Wellington effectively turned the tide of the Peninsular War. The map above takes you halfway along the Ecopista do Dao to Tondela. Although this old railway line was converted into a cycle trail about five years ago, it doesn’t show up on Google Maps and you can’t plot a route along it with Open Street Map. However, it is very well marked and easy to follow all the way from Santa Comba Dao to Viseu and vice versa (the only hard bit is finding the start at Santa Comba! Distance/difficulty: Total distance is 401km (250 miles). Approaching Luso involves a long, steady climb (from sea level to 200m). From there through to Spain, the terrain is quite undulating and will involve some reasonable hills – although if you take the Ecopista do Dao rather than the road this helps enormously in ironing out the approach to Viseu. From Ciudad Rodrigo to Salamanca is flat or gently rolling – using the old N620 that mostly parallels the main A62 route. Stages: This route would break down easily into five or six days of riding, beginning with a short first day (44km) to Luso, followed by a longer second day to Viseu (74km by road or a couple of km more if you take the slightly longer but far gentler Ecopista). NB. The main map shows only the road option. See the Ecopista page for the alternative option – although note that finding the start can be awkward! 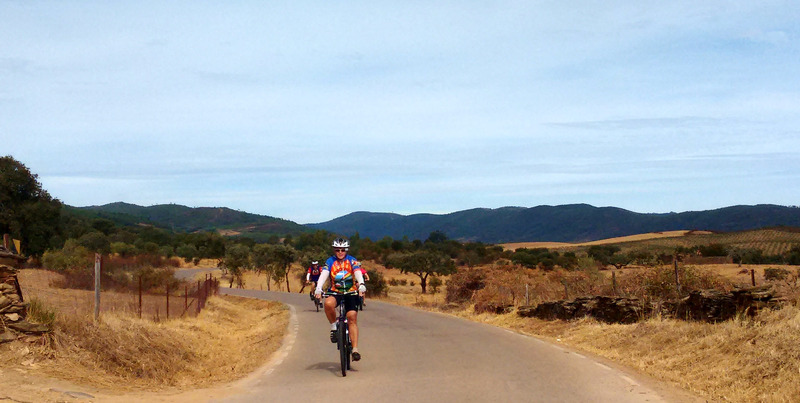 The next stage from Trancoso to Ciudad Rodrigo could be tackled as one long (102km) day. Alternatively, if you’ve got a bit more time and want to make the most of some of the quietest roads in Portugal, I’ve got another option for you. This – see next map – involves heading north towards Marialva (with the remains of another small castle, across the Coa valley to the village of Figueira de Castelo Rodrigo (and another castle), before turning south to Almeida (for yet more ruined fortifications). 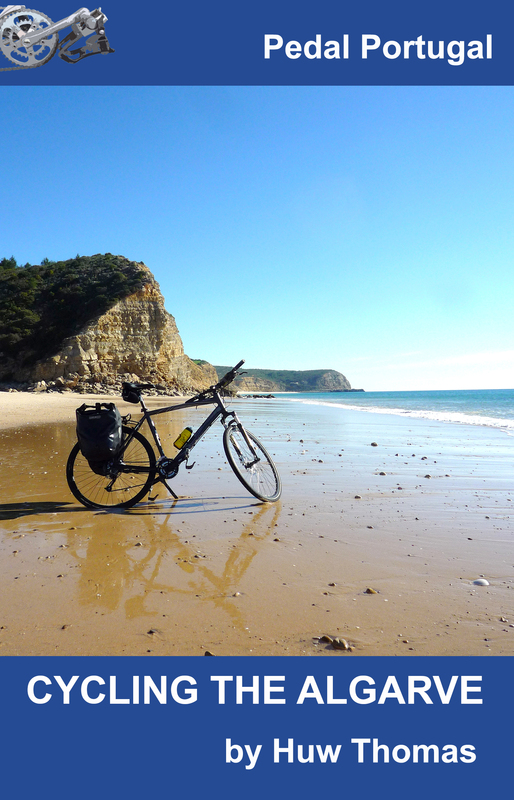 It’s a long ride from Trancoso to Almeida taking this route (over 98km). It’s also a mixed ride in terms of terrain – the first section has some slopes but nothing too severe, there’s then a seriously steep descent and ascent crossing the Coa valley, after which it gets a bit easier again. You can probably find accommodation at Figueira de Castelo Rodrigo or nearby (although I’m not aware of a huge choice) and break the journey there. Alternatively, if you want to shorten this section, then simply take the old main road north from Trancoso to Marialva (this parallels the new IP2 dual carriageway). You might also save a couple of km by taking the N332 south from Fig. de Castelo Rodrigo to Almeida. Although a main road I’ve never seen much traffic on it. There are a reasonable number of accommodation options in Almeida. From here you can take some beautiful back roads across the border into Spain and then south. The last section to Ciudad Rodrigo is along the old main road, this runs parallel with the A62 dual carriageway and is also very quiet. The final day to Salamanca is a reasonable ride (88km) but will probably seem pretty much flat after the hills in Portugal! Accommodation & Provisions: There’s a wide choice of places to stay on the coast from camping to hotels. After that, there are no campsites I’m aware of on the main route until you get over the border to Ciudad Rodrigo in Spain. 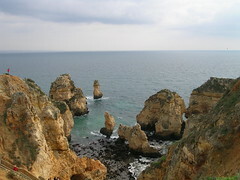 However, you should be able to find a range of pensões (guesthouses) and hotels. Supermarkets, shops, cafes, restaurants etc along the route also shouldn’t be a problem, although they will get scarcer as you head east and enter less populated areas. Viseu is the biggest town on the route and offers everything from bike shops to cinemas. However, I’d make one change. From Cuidad Rodrigo for a nice scenic route I would head NW on the SA324 and then turn towards Aldeia do Bispo and cross the border towards Almeida. One tip – check out possible roads using satellite view on Google Maps – there are a couple of new roads in the area that don’t show up on maps but you can see them on satellite! Hope that helps. Email me on pedalportugal@gmail.com if you have any specific questions. The only other company I know of that offers delivery service doesn’t get such good reviews! Sorry it’s taken me a few days to reply but I’ve been on the road with a tour group.